Nuclear Regulatory Commission commissioners testified before the House Oversight and Government Reform Committee about recent allegations of mismanagement directed at Commission Chair Greg Jaczko. The commissioners accused the chair of abusive management practices that undermined the agency’s mission. Chair Jaczko denied those charges, saying he has no plans to resign. Nuclear Regulatory Commission (NRC) members testified on on nuclear reactor safety following Japan‘s disaster earlier in the year. 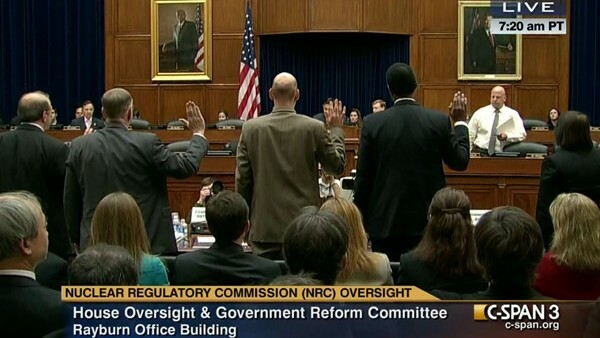 Senators in their opening statement referred repeatedly to the previous day’s House hearing in which NRC commissioners accused Chair Jaczko of abusive management practices that undermine the agency’s mission.